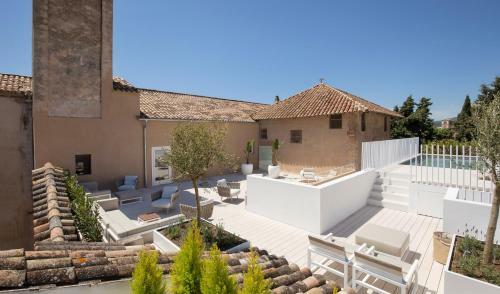 Convent de la Missio in Palma is a small-scale hotel with 14 Rooms. 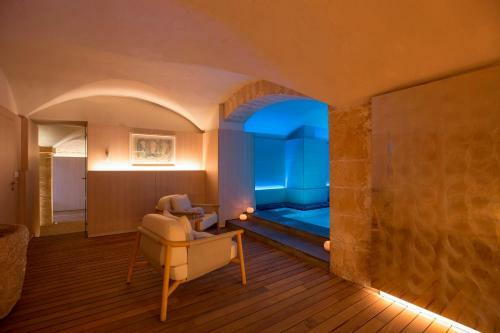 Housed in the old monastery Convent de la Missió dating from the 17th century, this modern and chic hotel boasts an excellent location in the centre of historic Palma. 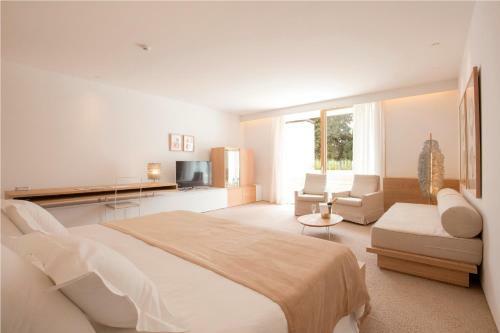 Visit the beautiful, historical old town of Palma on foot from this hotel. You can stroll through the narrow streets surrounding the hotel and relax in the gardened patios. 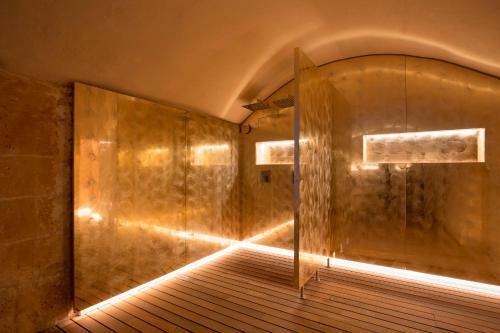 At the end of a busy days sightseeing in Palma, you can unwind in the sauna or by sitting in the cool of the interior patio. The hotel is located in the centre... of Palma, allowing you to easily get to numerous bars, restaurants and the lively nightlife of the Majorcan capital. 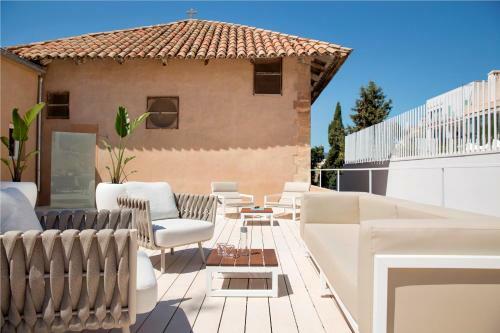 Housed in the old monastery Convent de la Missió dating from the 17th century, this modern and chic hotel boasts an excellent location in the centre o...f historic Palma. 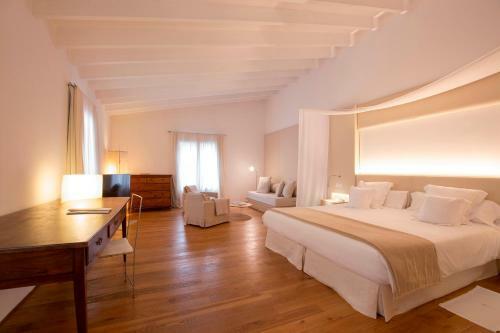 Visit the beautiful, historical old town of Palma on foot from this hotel. You can stroll through the narrow streets surrounding the hotel and relax in the gardened patios. 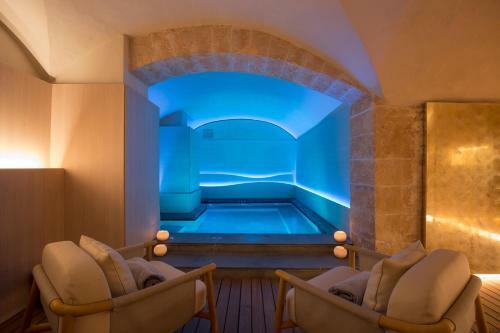 At the end of a busy days sightseeing in Palma, you can unwind in the sauna or by sitting in the cool of the interior patio. The hotel is located in the centre of Palma, allowing you to easily get to numerous bars, restaurants and the lively nightlife of the Majorcan capital. Children and extra beds All children under 3 years stay free of charge for children's cots/cribs. All children under 13 years are charged EUR 60 per person per night for extra beds. All older children or adults are charged EUR 120 per person per night for extra beds. The maximum number of children's cots/cribs in a room is 1. The maximum number of extra beds in a room is 1. Supplements are not calculated automatically in the total costs and will have to be paid for separately when checking out. Any type of extra bed or child's cot/crib is upon request and needs to be confirmed by the innkeeper.